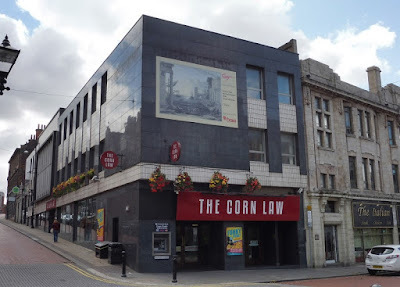 The Corn Law, a popular pub in Rotherham town centre, is back on the market, two years after it was previously acquired. 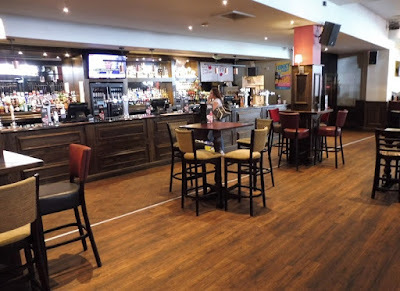 Rothbiz reported in 2016 that Hawthorn Leisure acquired the Rotherham site from J D Wetherspoon for an undisclosed sum, one of eleven acquisitions by the innovative new pub company across the country. The freehold of the 6,000 sq ft High Street premises is now back up for sale with agents, Savills. Earlier this year, NewRiver, a specialist listed real estate investment trust (REIT), focused primarily on retail and leisure property, acquired Hawthorn Leisure from an affiliate of Avenue Capital Group for an enterprise value of £106.8m. NewRiver, which acquired a number of pubs from Marston's in 2013, identified the pub sector as an attractive investment to deliver on its business strategy. At the time of the acquisition, Allan Lockhart, chief executive of NewRiver, said: "The acquisition of Hawthorn Leisure is absolutely aligned with our strategy of investing in retail & leisure assets at the heart of the communities across the UK. The portfolio is highly complementary to our existing pub portfolio and the combined portfolio remains below 20% of our total assets. "We now look forward to applying our active asset management and risk-controlled development expertise to produce profitable opportunities for our occupiers, and growing and sustainable cash returns for our shareholders." But now the company appears to be offloading the Rotherham property. The brochure from Savills states that offers in excess of £350,000 are being invited for the freehold. Hawthorn, which has been advertising the pub to potential new operators, add that the property was subject to a £120k investment in November 2016 when it relaunched as "Stone & Taps." The substantial corner building currently has its ground floor as a large open plan trading area with bar servery to side. The first floor is used as kitchen and beer cellar, with the second floor used as stores. The property has an approximate gross internal area at ground floor of 4,769 sq ft. The Corn Law Rhymer is housed in a property purpose built for the Yorkshire Bank when it opened in 1968. It is on the site of the long-standing Crown Inn which was first recorded in 1605. Previously know as The Litten Tree, its current name recalls Ebenezer Elliott, who achieved fame as the Corn Law Rhymer. The Rotherham-born poet's hard-hitting verses played a significant part in ending the unpopular corn laws which caused widespread hardship in the 19th century.